Patina High gloss polyester lacquer in any BS, RAL, NCS or Dulux Colour Dimensions colour. Signal Semi-matt sprayed lacquer in any BS, RAL, NCS or Dulux Colour Dimensions colour. Primed for paint. Final decoration by others. 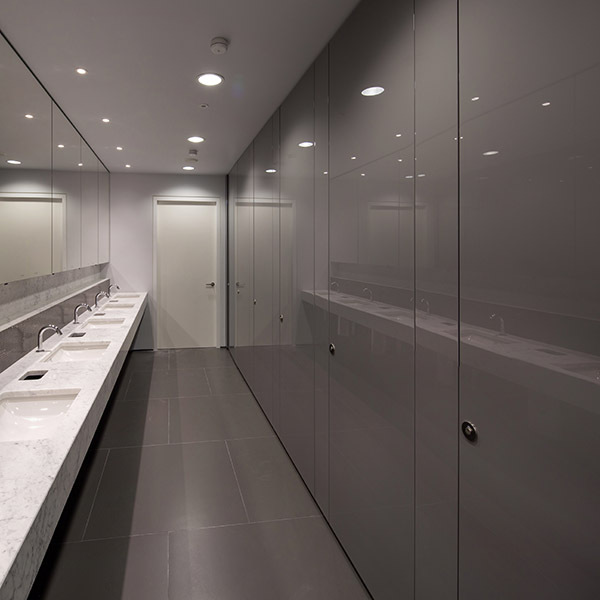 Patina is a high gloss sprayed polyester lacquer finish, available in a wide range of colours, allowing the designer to introduce vibrant effects to a scheme. It can be used for non-fire rated, FD30 and FD60 doors, and is particularly suitable for partitioning system doors and storage wall doors. We are also able to offer Patina panels, generally featuring a finish to all four edges. Available in any BS, RAL, NCS or Dulux Colour Dimensions colour. Signal semi-matt sprayed lacquer finish, available in a wide range of colours, has been introduced to complement the Patina finish. Whilst still enjoying the benefits afforded by the standard Shadmaster substrate, Signal represents a more economical solution. 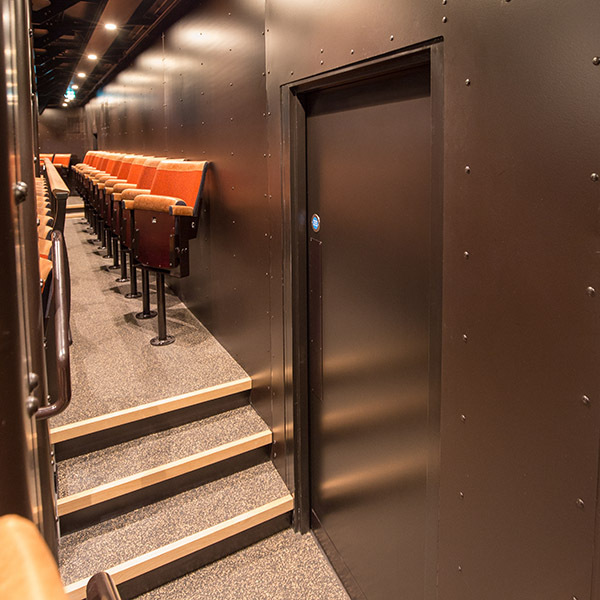 Together with complementary colour-matched hardwood frames to any profile, Signal can be supplied as doors or doorsets, both fire-resisting and non-fire rated, and also as wall panels. The use of bright and inviting colour schemes is a feature of the best modern design in areas such as schools and education buildings, hospitals and health buildings. Creation of a well-designed environment is important not only for the students or patients, but for the teachers and nurses who spend their working lives in the environment. 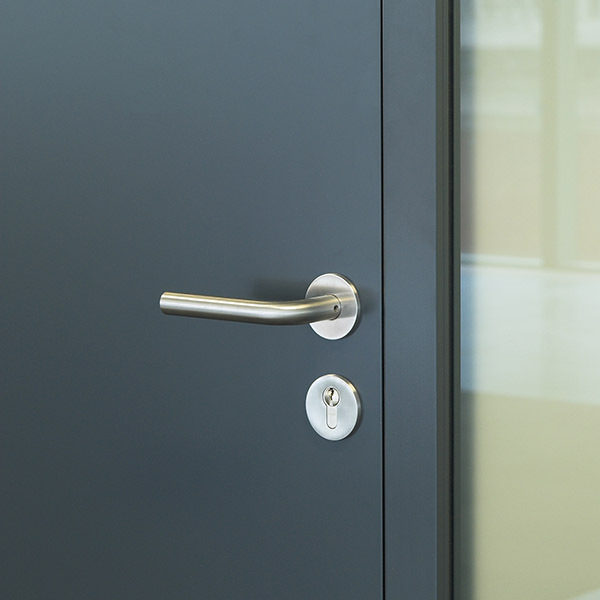 Shadbolt doors can be supplied with high quality sprayed gloss or semi-matt lacquer finishes, available in any BS, RAL, NCS or Dulux Colour Dimensions colour. Plastic laminate finishes are also available in any colour or pattern from any of the major UK suppliers. Doors and panels faced with plastic laminates can also be manufactured. Any colour or pattern of laminate can be used from any of the major UK suppliers. Shadbolt are a Formica Lifeseal Approved Door Fabricator. 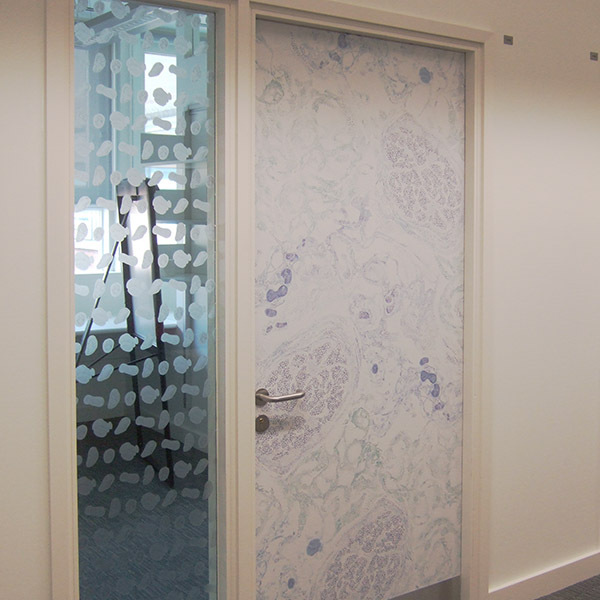 Patterned doors and panels combining different coloured laminates, or wood veneers with coloured laminate inlays, can also be made. Shadbolt can provide doors and panels primed (one or two coats) for final paint finishing on site by others. By using this method, all items that require to be painted on site can be done at one time, ensuring that all elements have the same paint application. All of Shadbolt’s paint and laminate finishes are applied in the factory to the most exacting standards and meet the requirements for credits in relation to VOCs under BREEAM or LEED.